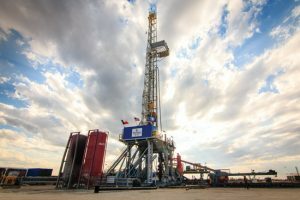 Tulsa’s Laredo Petroleum reported fourth quarter 2018 net income of $149.6 million or 65 cents a share. It also stated its net income for all of 2018 totaled $325 million which translated to $1.39 per diluted share. 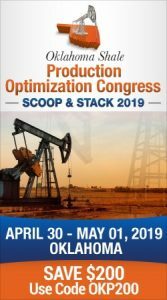 Laredo’s production averaged 68,168 barrels of oil equivalent a day during 2018 which was a 17% increase over all of 2017 production. The value of its proved reserves increased 17% over 2017. The company completed 18 gross horizontal wells in the fourth quarter of 2018 with an average completed lateral length of nearly 10,100. Company management credited efficiency improvements resulting in the completion of 74 horizontal wells in all of 2018. Foutch said the company has already taken action addressing the reduced oil productivity seen in 2018 he believes was affected by the tighter space of some wells drilled in 2017 and last year. of the causes of higher oil decline rates.